The latest version 2.7.6 of the MotoPress WordPress Reservation plugin is ready for download. In this release we’ve added several requested features which are really handy to further plugin customization. 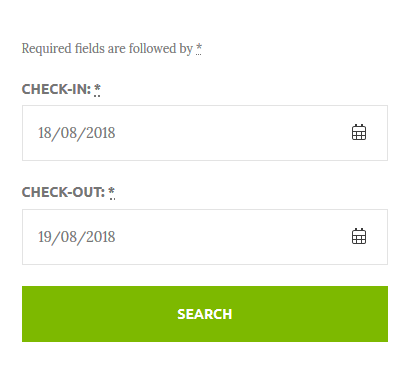 The major improvement is the new “Guest Management” feature, which allows to hide/totally remove “Adults” and “Children” fields from the Search Availability form. You can find the settings for the new feature by heading to Accommodation > Settings > Search Options. In addition to flexibility this feature provides for property owners, it also removes limitations for owners of other types of rental units. 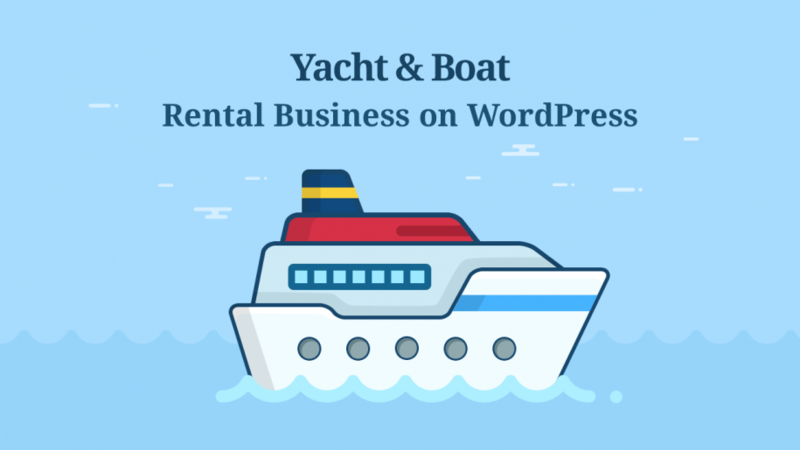 For example, now the plugin makes it possible renting out units that don’t rely on capacity – now you can use it without turnarounds. So how is it gonna make your work easier? Out-of-the-box removing “Children” field for those hotels and rental properties that don’t use this specific parameter. 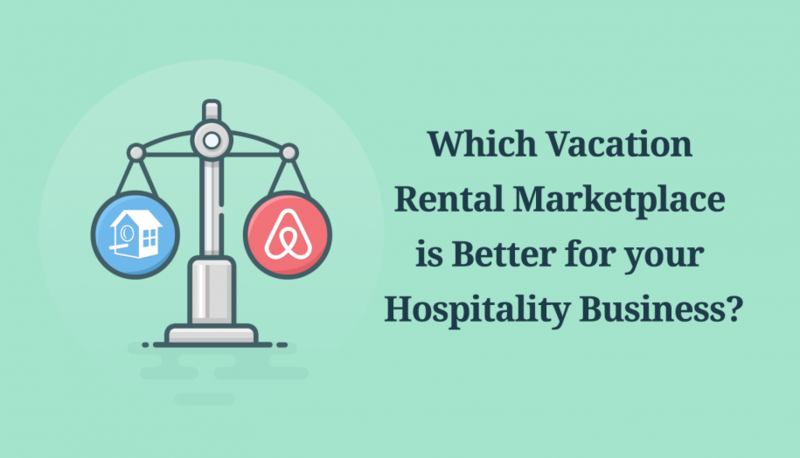 Easier renting for trailers and single rental properties that not necessarily include “adults” and “children” search parameters. Quicker and more straightforward direct property booking with just “Arrival” and “Departure” dates check. 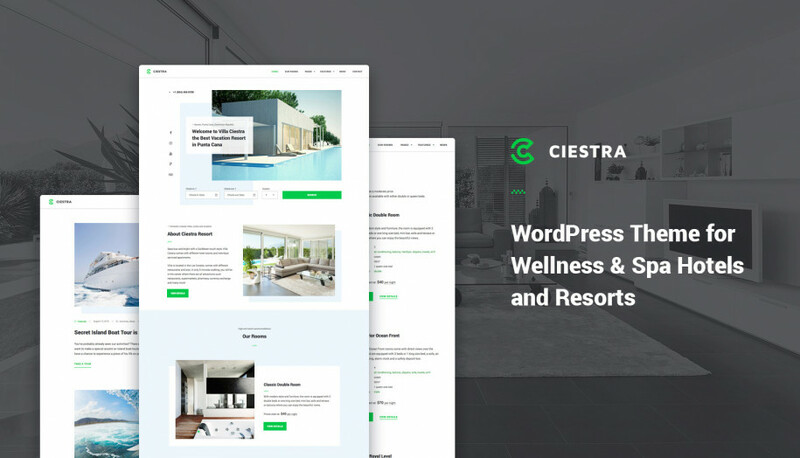 Let’s now take a closer look at the settings of “Guest Management” (while in beta, the changes will be applied only to frontend results). 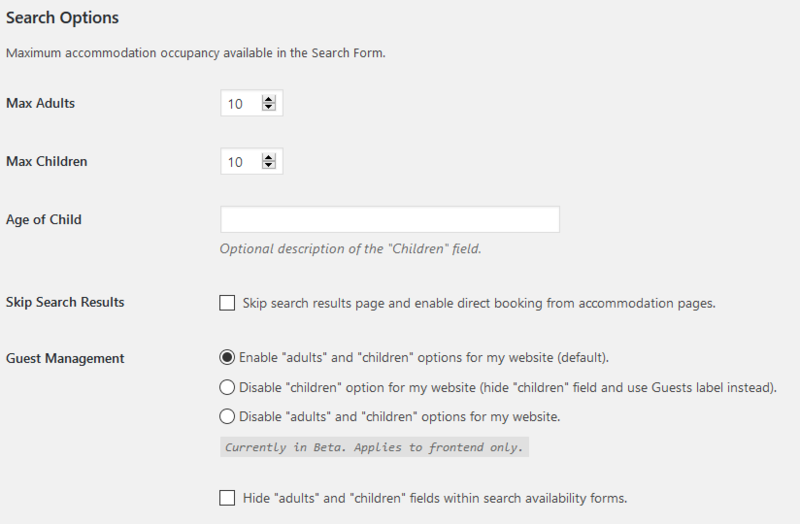 By default, the Search availability form includes both “Adults” and “Children” fields. You can optionally disable only “Children” field. In this case, the search form will use “Guests” label instead. 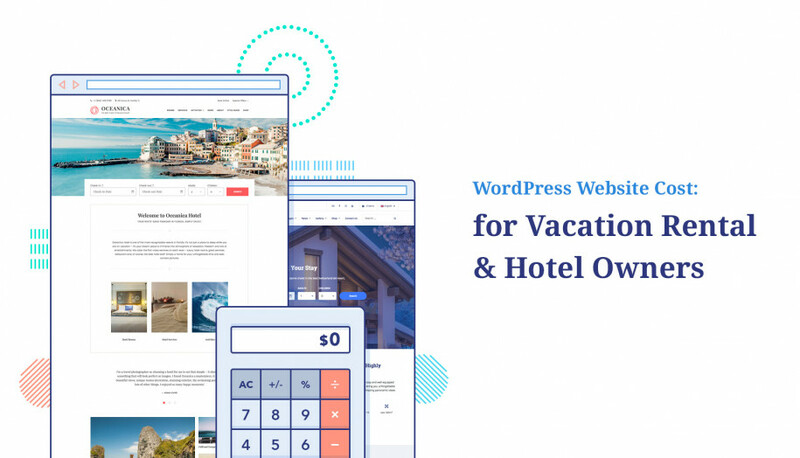 Taking into account that “Children” option is disregarded, the capacity of each property in the search results list will only show the number of adults labeled “guests”. 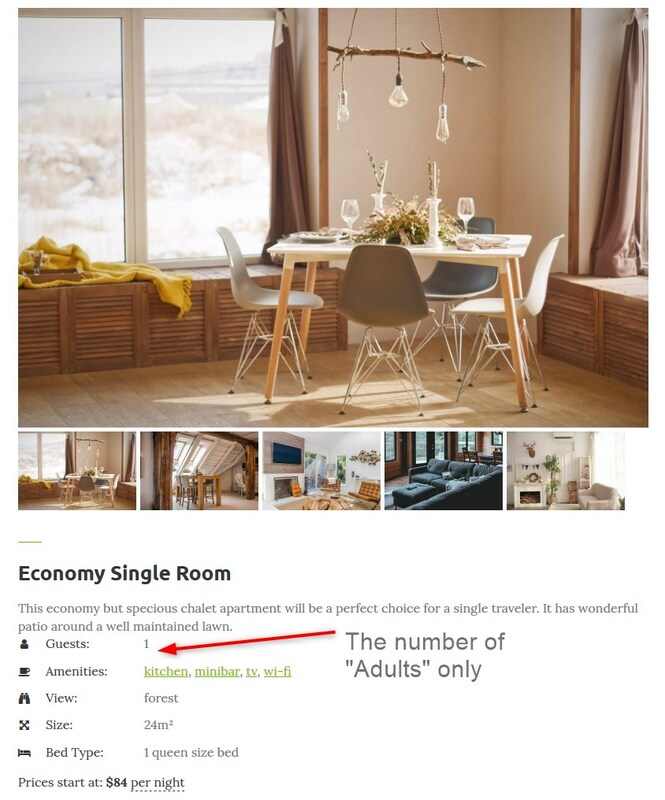 The system of the MotoPress Hotel Booking plugin will list only the number of “Adults”, not summing the values of “Adults” and “Children” to show “Guests”. So don’t forget to remove this info when editing the Accommodation type – simply set “Children” to zero. The recommended property will show the full capacity you designated in the Accommodation type. 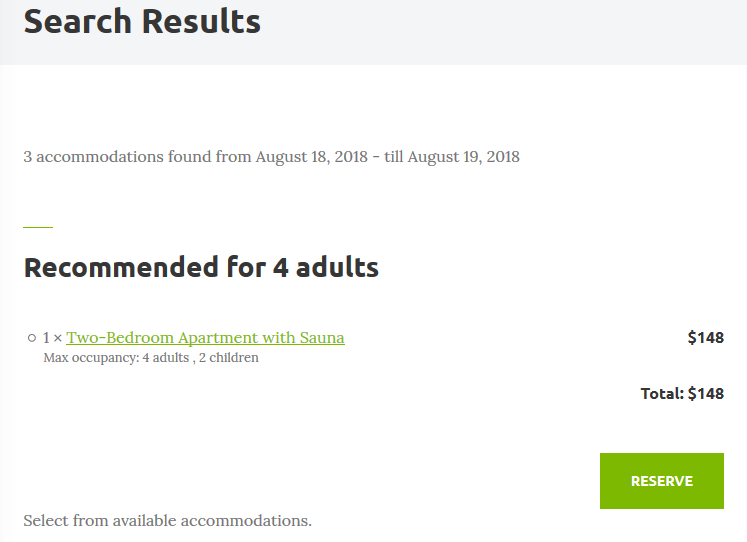 So if “Children” is not used in the Search Availability form, don’t set it as well in Capacity settings of the Accommodation type. Disable both “Adults” and “Children” options and simply display “check-in date” and “check-out date” selectors. In this case, the capacity won’t be shown at all on the checkout page and the number of guests won’t be required. Additionally, you can set the system to hide “Adults” and “Children” fields throughout search availability forms. That is, the system will output all info about adults and children in the search results, guests will need to specify this info on the checkout page, etc., but these parameters simply won’t be required in the search availability form. Hopefully, you’ll love the new level of flexibility in the updated plugin. 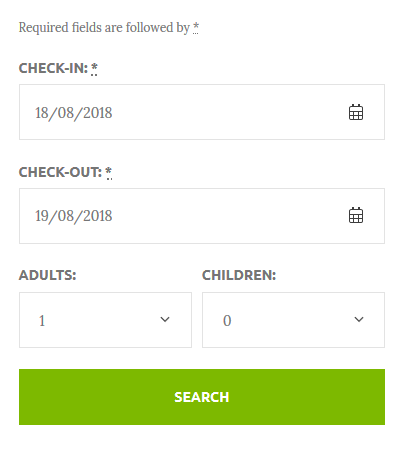 Predefined guest parameters on the checkout page for “Adults” and “Children” were removed so that guests can go through all fields and input data deliberately. The WPML and booking rules conflict was fixed: your rules are now applied to all translated versions. The issue with Stripe payments for bookings added from the backend was fixed. 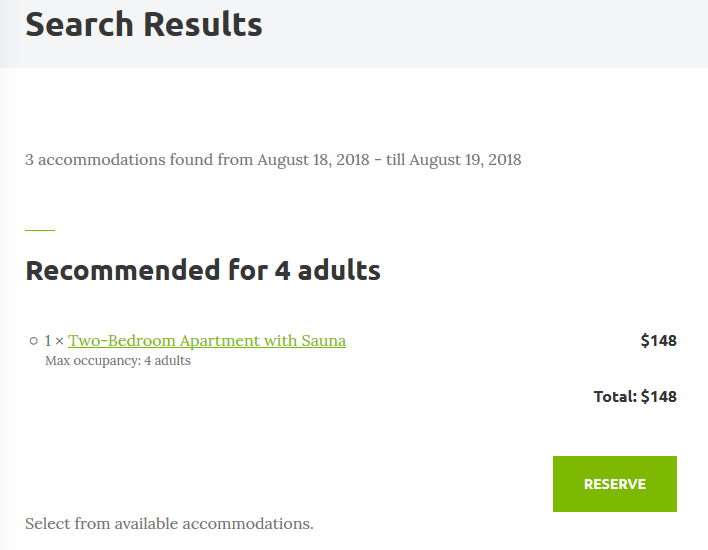 Another issue with the booking rules not applying for “Skip search results” option was fixed. These are the main updates we wanted to share today. 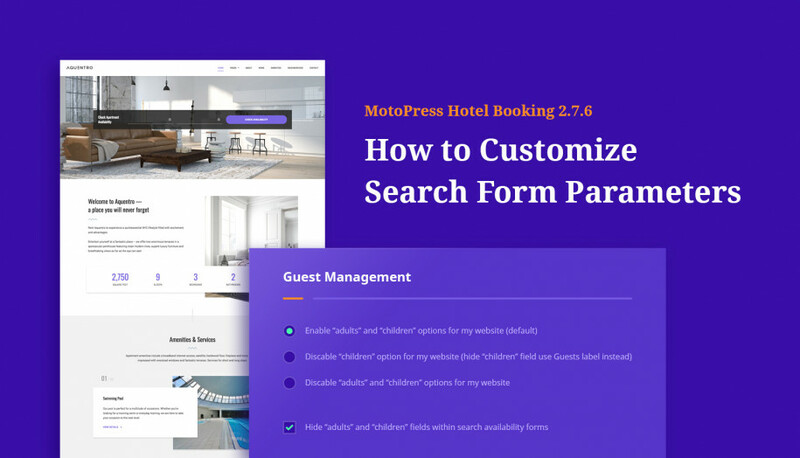 If you’d like to share your ideas regarding this release of the MotoPress Hotel Booking plugin, please leave your comments. More updates are just around the corner!